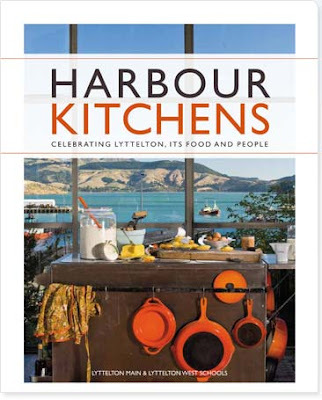 I was privileged enough to be involved in the production of this fabulous book, Harbour Kitchens. It is a joint fundraising project for the two primary schools in Lyttelton. Thanks to all the wonderful people involved, it has become a cookbook to rival anything you might find in the bookstores. Fabulous photography, mouth watering recipes, and designed by the talented Kim Hickford. It is much more than a recipe book, it has been described as a snapshot of Lyttelton, it's people, it's food and what makes it special. I can't wait to get my copy and try some of the delicious recipes. It would make a fantastic christmas gift, you can buy if from the Lyttelton Farmers Market, selected shops in Lyttelton and through either school.